In the context of the ongoing project The Feminist Search Tool H&D and Read-in invite to a workshop looking into the possibilities and limitations of web API’s (Application Programming Interfaces). The Feminist Search Tool (FST) refers to an early prototype of a digital interface, which has been developed in the context of the project "Unlearning My Library. Bookshelf_Research" of the Zero Footprint Campus (2016-2017). The digital interface invites users to critically engage with a library system, putting forth the question: Why are the authors of the books I read so white, so male, so Eurocentric? In collaboration with OBA, Atria and IHLIA Read-in and H&D aim to develop a tool that enters into dialogue with the user about the open secrets of hierarchies of knowledges that inhabit our bookshelves, reading practices and search movements in a digital library environment. 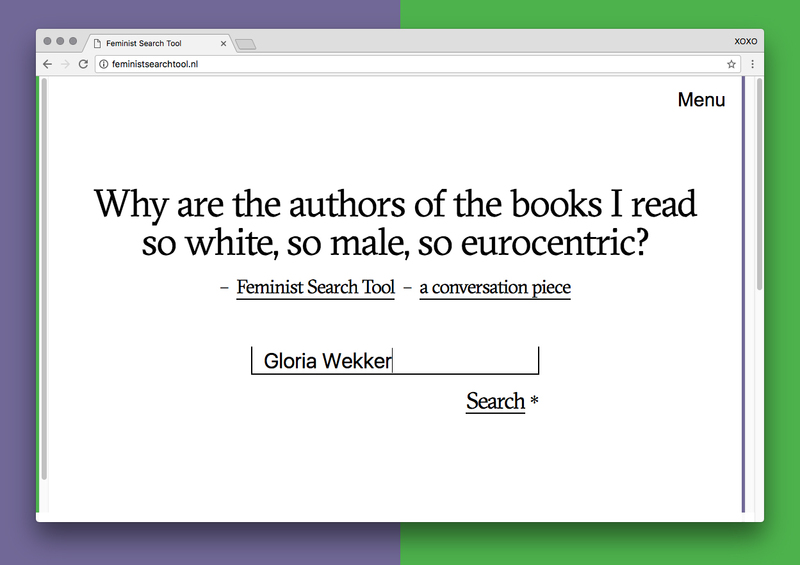 The Feminist Search Tool is both envisioned as an artistic research project, as well as an actual tool to critically and creatively assess information. As such, it functions as an awareness-raising tool that helps to contextualize online research in library catalogues and that addresses power structures that library search engines reproduce. The current prototype utilizes different API’s, which we intend to explore and critically examine by means of this workshop. During short hands-on exercises we will explore different API’s, collectively, learn how to connect, query and distill information–working toward an understanding of application possibilities and limitations of API’s. We will then further experiment by combining a selection of API’s such as the OBA API with the Wiki Data or Gender API’s.